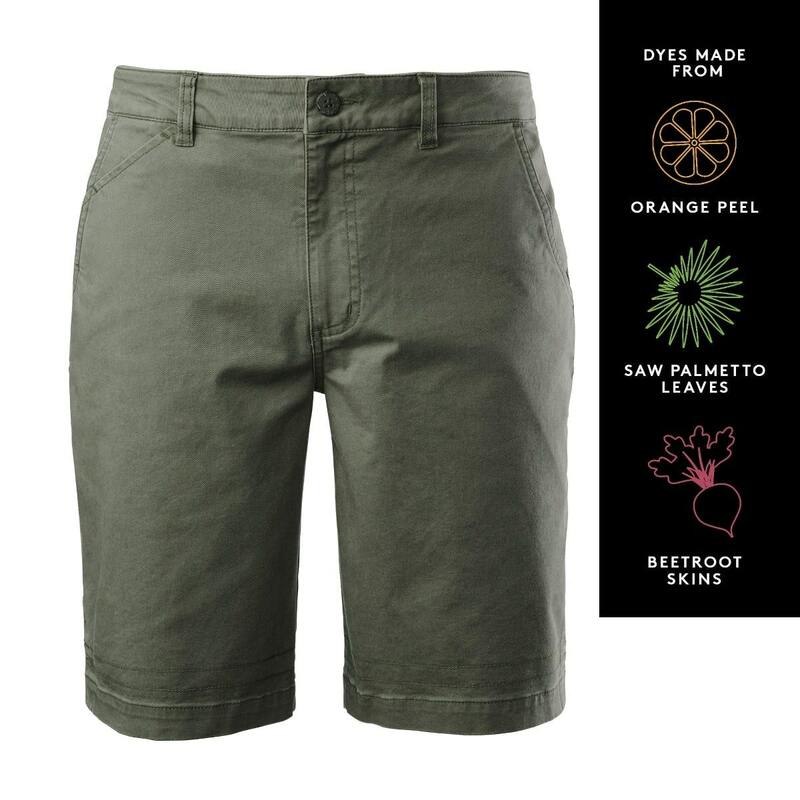 Perfect for your next trip overseas or adventure out in nature, the KMD Men’s Earth Shorts are very comfortable. They’re dyed with traceable, patented EARTHCOLORS that come from nutshells, leaves and vegetables – essentially agricultural waste. Supporting more responsibly grown cotton. This Earth product features dyes made with natural materials that will typically fade once washed – it’s what gives it a unique character.